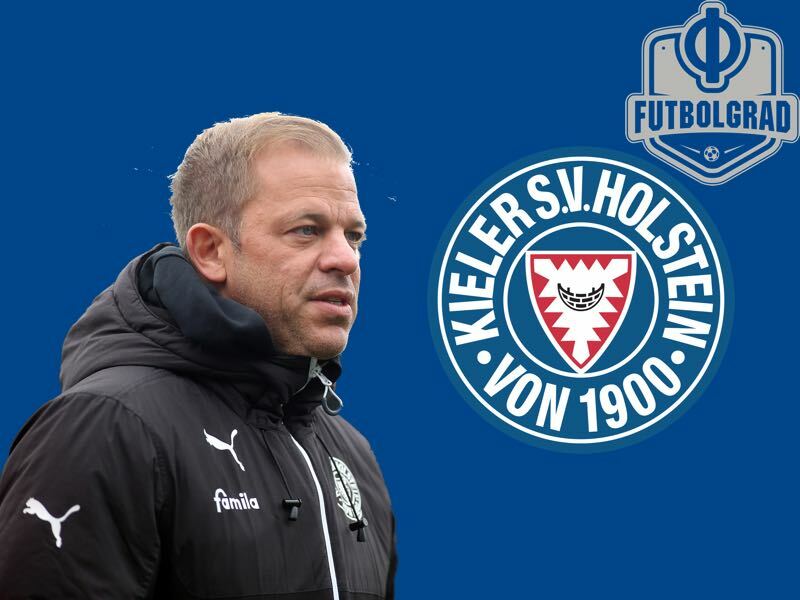 With the reputation of young German coaches seemingly ever on the increase the Holstein Kiel coach Markus Anfang appears to be the latest to be linked continually to possible job openings in the Bundesliga. In this article, we will consider the characteristics that make Anfang so appealing to sporting directors in the top flight. Holstein Kiel are certainly not a glamorous club, with the city of Kiel itself set in the far north of the country close to the border with Denmark. 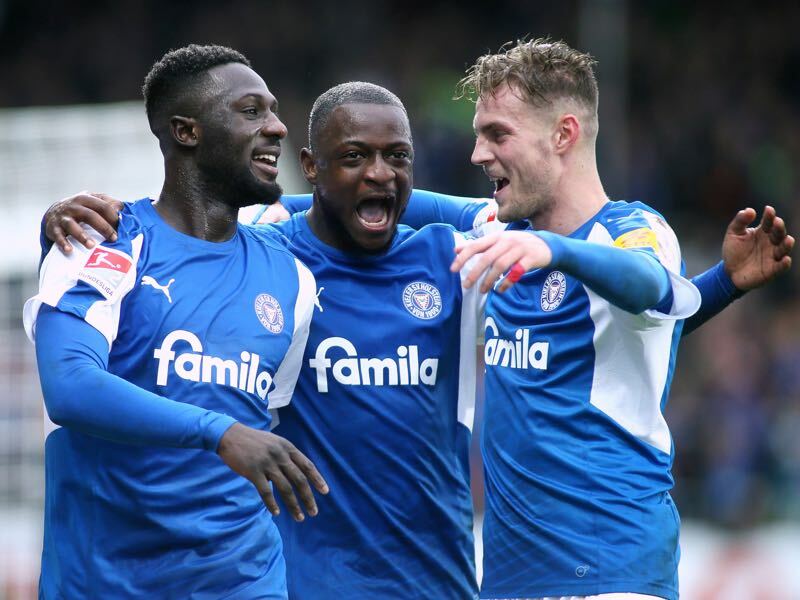 Indeed up until the end of last season where they gained promotion from the third tier, the club had spent over 30 years in the lower leagues. Now, however, they are fighting at the top of the Bundesliga 2, and this relative success is in no small part down to the work of their coach, Markus Anfang. After previously coaching in the Bayer Leverkusen youth system Anfang was appointed as coach of the club in 2016, and in his first season he won promotion and caught a lot of apparently bigger sides by surprise. For all that his name appears to be shining brightest in the Bundesliga 2 at the moment however he is not quite as young as some of his peers in the top flight, Julian Nagelsmann is 30, and Domenico Tedesco is 32. Anfang is already 43 and while he may be labelled as the latest of the ‘laptop coaches’ he is not quite as tactically obsessed as the aforementioned Tedesco and Nagelsmann. Instead, the success of Kiel under Anfang seems to be primarily based on the coaches ability to get the best out of his players and improve them both as individuals and as a collective. This is not to say that he is tactically unrefined but rather that he employs a more holistic approach to the development and coaching of his players. In this, there are more similarities between the style of Anfang and the current Liverpool coach Jürgen Klopp. The success of the club, however, does not lie solely at the door of Anfang, while he is incredibly talented at developing players and helping them reach their potential he works closely with the clubs sporting director Ralf Becker who identifies and brings in the players that have performed so well this season and last. One of the most productive markets for Kiel seems to lie in the identification of players who have spent time at bigger clubs without making the breakthrough at first-team level. Players like Dominik Drexler, a forward, previously in the youth system at Leverkusen and Dominik Schmidt, a defender, who was initially part of the set up at Werder Bremen are particular examples of this market at work. The issue with working in this specific market, however, is that eventually other sides will recognise your success and be less willing to allow you to take their younger players, this will, in turn, diminish your competitive advantage in the transfer market. Would Becker and Anfang be able to identify and develop players who can perform well enough to compete and stay in the Bundesliga for example? Perhaps the most impressive of the Kiel players this season, however, is Kingsley Schindler, a right-sided player, who was signed by the club on a free transfer from the second team of Hoffenheim and who is now being linked to a move in his own right to the Bundesliga. Under Anfang, Kiel tend to favour a variant of the 4-3-3 system, depending on the opposition or the development of the match the wide forwards in this system can either retain their advanced positions or look to drop slightly deeper to form a more robust five-man midfield. They tend to shy away from the more typical German model of play in that there is no obvious sign of counter pressing within their system. Instead, Kiel look to keep a compact defensive shape working hard to limit the access that the opponent has to passing lanes that will give access to the centre of the field. In the third tier when Anfang was in his first season at the club Kiel had one of the best defensive records in Germany, despite their relative success to this point in Bundesliga 2 their defensive performance has dropped off. This drop, however, can be attributed to the rise in the ability of their opponents rather than in anything that Kiel are doing wrong defensively. When they regain possession and look to transition to the attacking phase, we see Kiel at their best. Wide forwards retain the width of the field, and two of the three central midfielders move forward to occupy the half spaces to take advantage of the stretched defensive structure of the opponent. The speed of the transition from defence to attack here is the key, and here we see elements of more familiar German tactical concepts as teams are pinned back and overloaded in any one of five vertical zones to force a breakthrough. 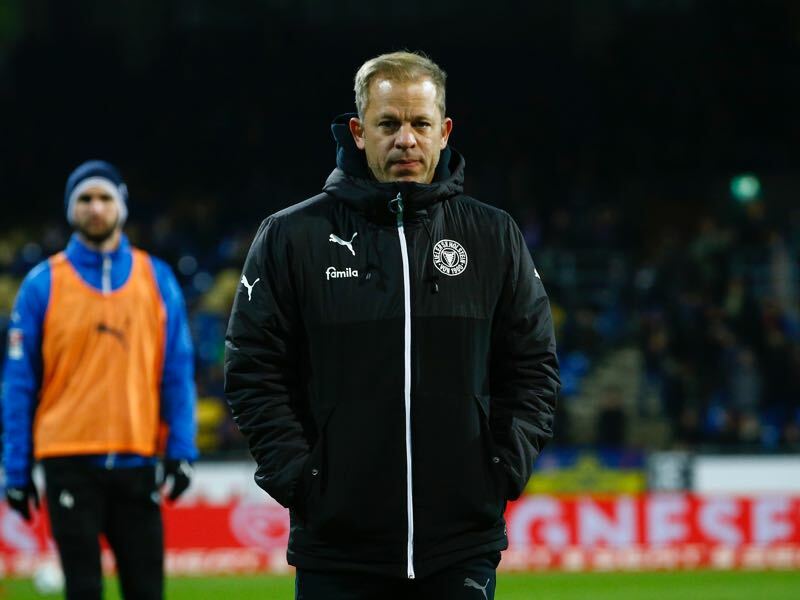 For all the positives surrounding Kiel and Anfang this season, there are reservations as to whether they could gain a second successive promotion and compete at the Bundesliga level. They play in the Holstein-Stadion with a capacity of just over 10,000, and their playing budget is a fraction of most teams in the second tier, let alone in the Bundesliga. That said the financial benefits of a year in the Bundesliga, even if it ended in relegation, could well allow the club to develop their infrastructure off the field as well as investing more in playing staff on the field. In that, there are definite benefits to the club. For all the speculation surrounding Anfang, he does not seem to be in any great hurry to move on to a seemingly bigger club. Although he was born in Köln, he did not comment when linked with the coaching position at the club following the removal of Peter Stöger towards the end of last season. Indeed he appears to be largely content with life in the north of the country. There is no doubt, however, that at the end of the season he will be in demand again, a coach with the ability to develop players and help them to reach their potential will always be in great demand. When Markus Anfang does one day move on from Kiel, he will be missed, but he will also leave a legacy of success. Gegenpressing – Bundesliga Podcast – Are BVB the New Oranje? Nikola Maksimović – Who is Spartak’s New Defender?